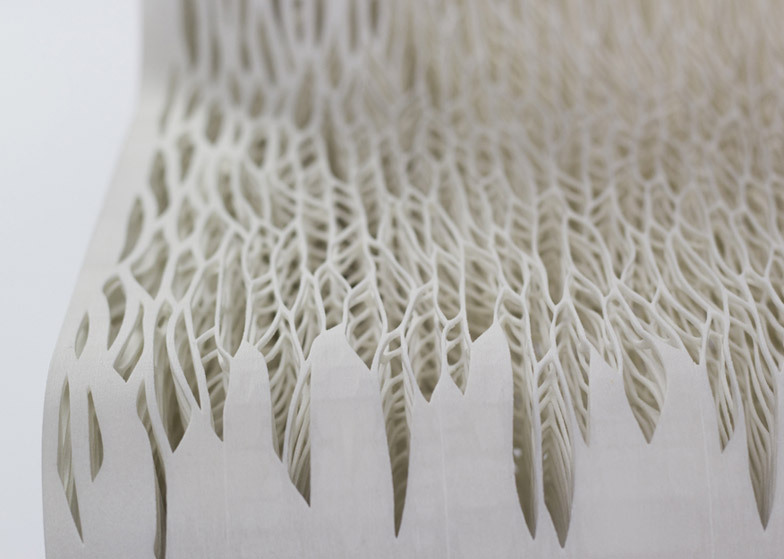 Design graduate Lilian van Daal has developed a conceptual chair influenced by plant cells that could be 3D-printed from a single material (+ slideshow). 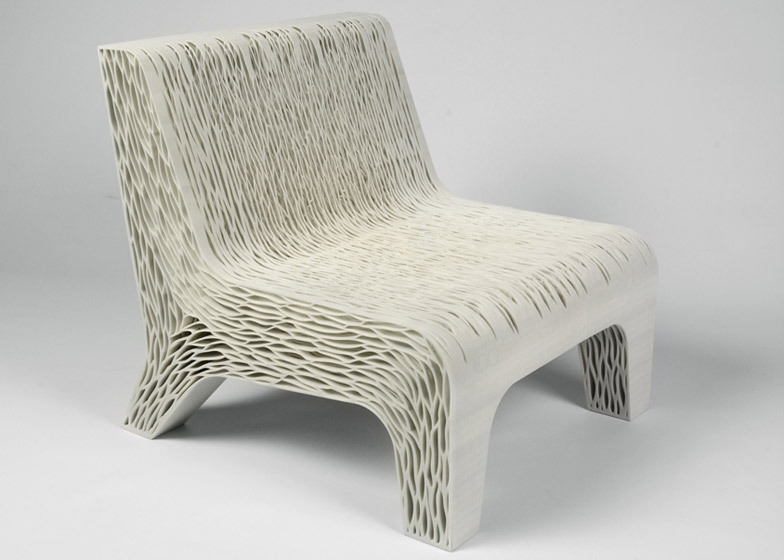 Van Daal's Biomimicry: 3D-printed soft seat is designed as an alternative to conventional upholstered furniture, which requires several different materials and processes to create the frame, padding and covers. 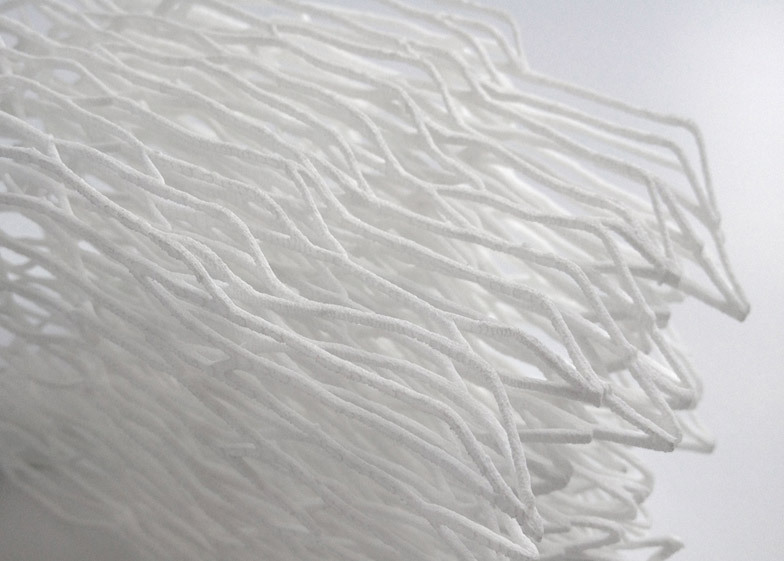 "A lot of materials are used in normal furniture production, including several types of foam, and it's very difficult to recycle because everything is glued together," Van Daal told Dezeen. 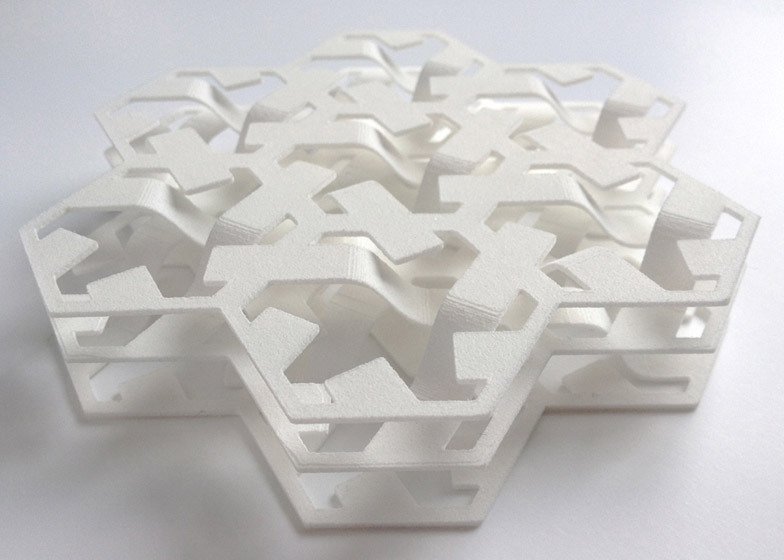 The designer began to look at ways of printing structures that behave differently depending on how material is distributed, enabling some sections to be soft and others to be rigid. 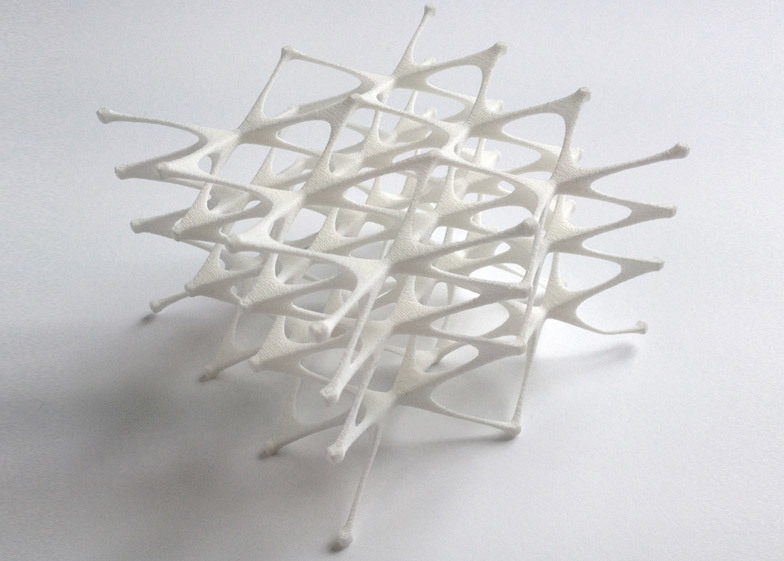 "I was testing the flexibility and the stiffness you can get from one material by 3D-printing various structures," said Van Daal. "I did lots of experiments with different structures to identify the kind of properties each structure has." In particular, Van Daal looked to nature for inspiration and examined the properties of plant cells, which are able to perform several different tasks. Reducing the density of the material would create more flexible areas for seating, while the amount of material could be increased where greater structural strength is required. 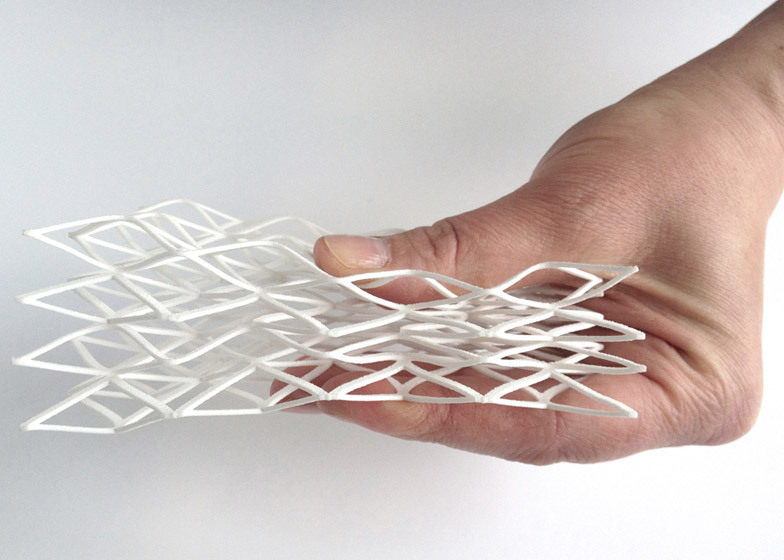 "When you adjust the structure a little bit you immediately get a different function," the designer pointed out. 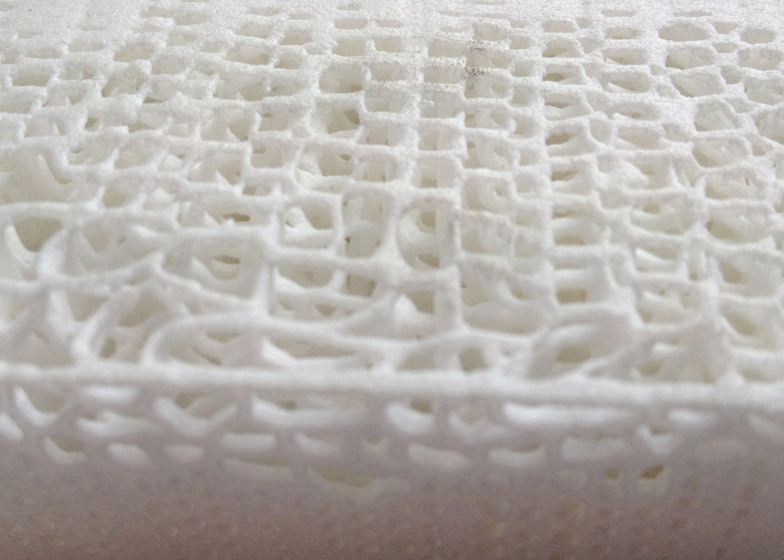 "In the strong parts I used as little material as possible but enough to still have the good stiffness." 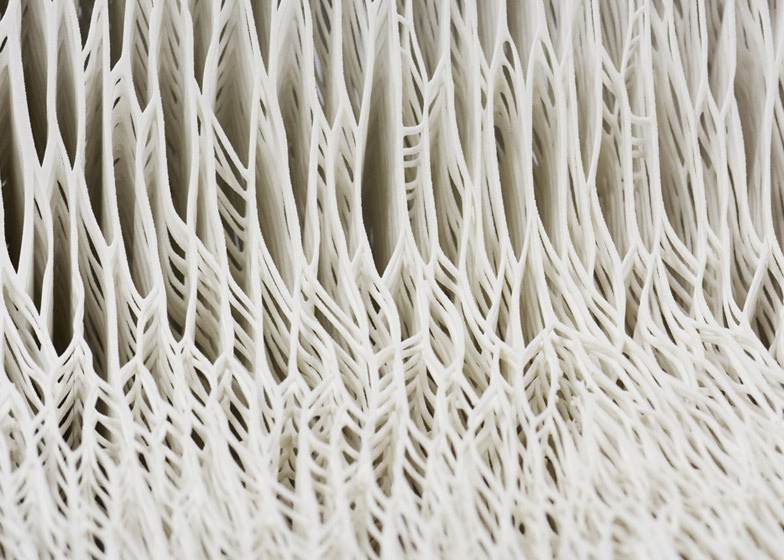 Van Daal produced a series of prototype structures printed from polyamide but claimed she is currently researching the potential of using biological materials that would be more sustainable. Producing furniture using this method could also reduce emissions from transportation typically required to move materials and products around during the production process, as the furniture would be printed in one place. 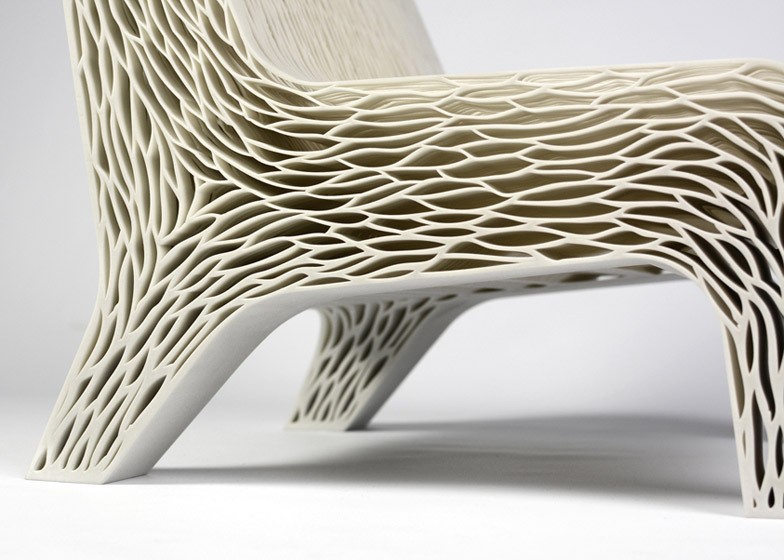 The shape of the chair was modelled manually using 3D computer modelling software, but the designer pointed out that there is more sophisticated optimisation and stress analysis software available which could enable her to create forms that distribute material in the most efficient way. The concept for the chair was created by Van Daal for her graduation project from The Hague's Royal Academy of Art and the designer is speaking to leading furniture brands about developing the project further.